Allan Anthony Donald is a retired cricket player from South Africa. He was born on 20 October 1966 in Bloemfontein, Orange Free State Province, South Africa. Allan is regarded as one of the most thriving South African pace bowlers of all time. He bowled right-arm fast and was the first Proteas player to take 300 Test wickets. He used to come on the field with a circular white area of zinc cream across his cheeks and nose and was given nickname, The White Lightning by his teammates and cricket fans. Allan had started playing cricket when he was in school. Playing against his uncle's school he took 9 scalps for 16 runs, which did not go in vain and he was selected to the Orange Free State team. At the age of 19, he played his first domestic game against Transvaal. He also represented Impalas Cricket Team. In 1987, he started playing for Warwickshire County Cricket Club and in 2002, he played his sole match for Worcestershire. 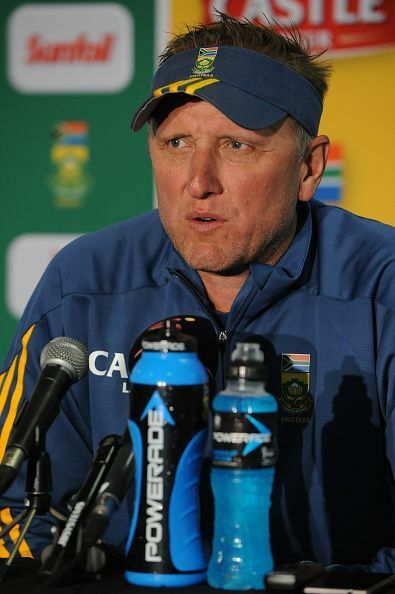 Allan Donald made his international debut in an ODI against India on 10 November 1991 at Eden Garden, Kolkata. In his debut match, he took 5 wickets for 29 runs and thrashed the Indian batting order. It was the teenager Sachin Tendulkar who could fight back with his 62 runs in 73 balls. Later, Donald was jointly given the Man of the Match award with Sachin. On 18 April 1992, he played his first Test match against West Indies in Barbados. Though, South Africa lost the match but he took 2 wickets for 67 runs in the first innings and 4 wickets for 77 runs in the second. Donald was the fastest bowler across the world in the early and mid-90s. In the 1992 ICC World Cup, he took South Africa to the semi-finals by his fearsome pace bowling. He picked up 13 wickets at an average of 25.30 and with economy 4.21 in the tournament. In 1998 Trent Bridge test match held between South Africa and England, South Africa made 374 runs. In response, England was bowled out on 336, with Allan completing a 5 wicket-haul. In the second innings, England were chasing 247 runs. Donald bowled several bouncers to Michael Atherton, but he survived several close chances to remain not out at the end of the day. Donald described this incident in his biography as one of the most tensed time of his Test career. In the 1999 ICC Cricket World Cup, he picked 16 wickets at an average of 20.31 and again took his team to the semi-finals. Donald played for Warwickshire from 1987 to 2000. He remained the key bowler for all the years he featured in club’s fixtures. He helped the club to win two titles in 1995 and took 89 wickets in the season. Donald was South Africa's highest wicket-taker with 330 Test wickets at an overall average of 22.25 and 272 wickets in ODIs at 21.78. Later, Shaun Pollock overtook both of these records. In domestic cricket, Allan rules the stats with 1,216 wickets in 316 games at an average of 22.76. He also has 684 wickets in List-A cricket. Donald called off his international career after South Africa's exit from 2003 ICC Cricket World Cup. Having the vast knowledge of bowling, he has been appointed as a bowling coach by several international teams such as England, South Africa, New Zealand, Sri Lanka etc. He has also coached two IPL teams, Pune Warriors India and Royal challengers Bangalore. Apart from coaching, Donald has served as a commentator for South Africa Broadcasting Corp (SABC).